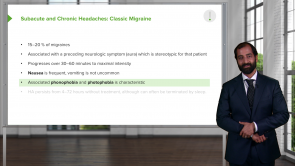 Headache – Online Medical Course | Start now with Lecturio! Studying medicine has never been so easy! Is that terrible pain behind your patients' eyes an emerging brain tumor or could it be related to their weight? Dr. Raj will teach you the most important terms and concepts. He will also provide clinical pearls and mnemonics so you can recognize diseases and develop treatments faster. The Lecturio website provides quizzes to test your knowledge and topic reviews to refresh your knowledge. Learn with Lecturio and impress your classmates with your knowledge and high scores. Headache is one of the most common symptoms in the emergency department and outpatient clinics. It can be a sign for serious illness that needs immediate action to prevent fatal consequences e.g. 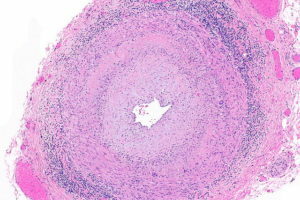 subarachnoid hemorrhage, meningitis and temporal arteritis. 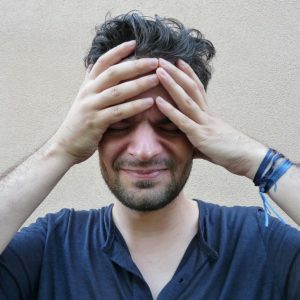 Headache also can be a sign of chronic physical and mental illnesses. Careful history taking and physical examination should be performed to any patient complaining of headache for proper diagnosis and management. Well explained. The failure was to be so explicit without a lot of explanation. seriously these series of lectures are the absolute worst. no explanation at all, no physiopathology, no images...just a pathologist who seems to be severely under qualified to teach a comprehensive clinical neurology lecture , reading a bunch of bullet points off the most lazily prepared power point presentation. seriously strating to wonder what the point of lecturio is. I do the q bank right after the lectures and literally nothing that is asked is mentioned in these lectures. the professor should smile a bit :) His tone is scary at times.